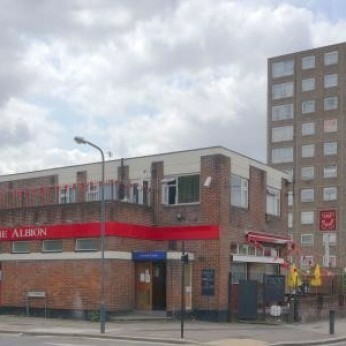 A post-war housing estate pub, with TV screens throughout. There is a pool table and a dartboard which is currently obstructed by a games machine. The pub now specialises in African food with grilled fish a speciality. There is no real ale, but there is a range of non-bottle conditioned beers available. The pub may close early if it is quiet.